La Grande Passerelle, home of the main public cultural facilities of Saint-Malo, is immediately seen by travellers arriving from TGV (high-speed train) station. This cultural hub, open to the public since December 2014, was designed by the Paris agency Architecture-Studio, and includes a media library, an art-house cinema, a media centre, and “4e lieu”, a multiuse space. It is located in the very centre of Saint-Malo, which includes the three communities of Saint-Servan, Paramé and Intramuros. 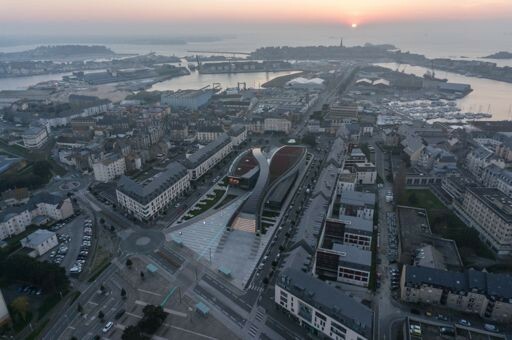 The new urban renewal movement of Saint-Malo, inspired by the relocation of the old station, was involved in the creation of La Grande Passerelle. In fact, the facilities complete the renewal of the area and the creation of a new hub at the heart of the three communities. Notorious tourist attraction, the town owes its prestige to a glorious past, with which the names of Jacques Cartier, René Dugay-Trouin, Surcouf and Chateaubriand are associated. Apart from its historical heritage, each year the town hosts three important cultural events: the festivals “Etonnants Voyageurs” (which celebrates its 25th anniversary this year), “Quai des Bulles” and “La Route du Rock”. 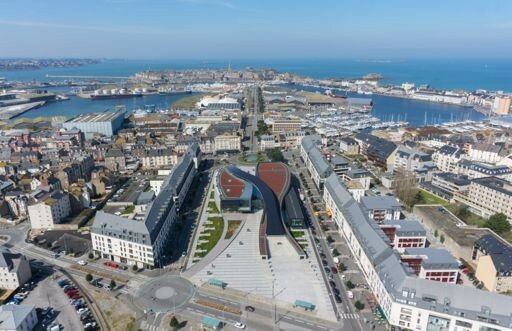 These events, nationally and internationally renowned, are part of the city influence and dynamism, which are symbolised by this Cultural Hub, the new cultural icon of Saint-Malo. Taken as a whole, La Grande Passerelle expresses the metaphor of openness, a gesture inspired by the proximity of the seashore and the wish of Architecture-Studio to establish a continuity between the built structures and the geometry of the exterior areas. Around this spatial separation there are also the generous public spaces, laid out in two esplanades on both sides of the building, with a small outdoor amphitheatre added to the south. 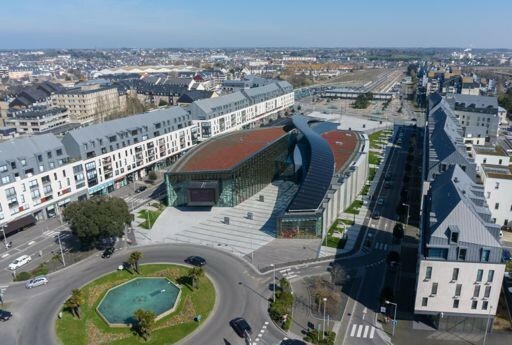 Taking advantage of its strategic geographical location between the land and the sea, La Grande Passerelle emerges and reveals the Saint-Malo historical axis that links the new TGV station with the town within its walls. The cultural hub is the first major element that travellers arriving from the station will see. 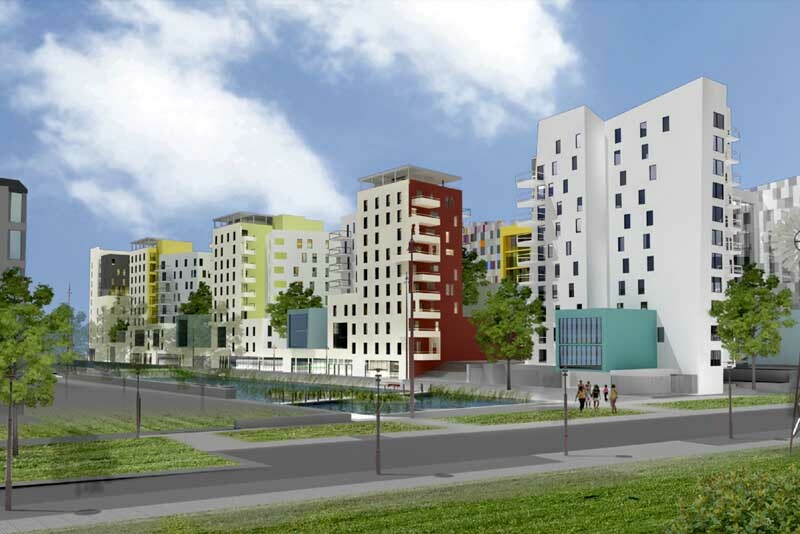 The architects wanted to offer a contemporary, urban, architectural response, which is one of the challenges of the completion of this new area. For Architecture-Studio, this “esplanade-building” is not just an architectural statement, but a composition bringing together all the interior and exterior spaces, the constructed and the inhabited. In this way, everyday activities, cultural events and exceptional experiences of La Grande Passerelle resonate together, increasing the site attraction and its facilities, day and night, throughout the year. This ensemble is at the same time contextual and autonomous. 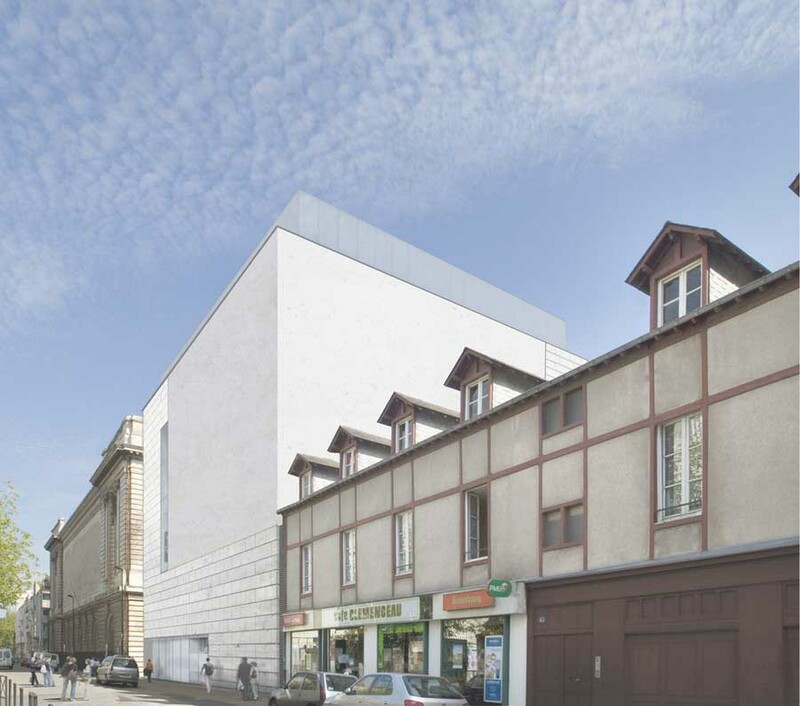 It is contextual as part of the interpretation and the structuring of Saint-Malo’s main artery and it is autonomous in its architectural statement and in the strong identity that this confers upon it. La Grande Passerelle is immediately recognisable, and translates the challenges of this public commission: a cultural platform that will bring together many aspects; from books to audio-visual media, from independent movies to digital creation and support for festivals. The theme of travel, chosen by the town of Saint-Malo to illustrate the relationship between the different cultural content offered by the media library and the art-house cinema, is revealed in the treatment of the building: the multiple ripples of the ground and the built structures create fluid spaces, dynamic lines, confrontations – a depth. It is reminiscent of the sea, the waves, the sails of the ships that left Saint-Malo so often to go and explore the world. It also suggests media flows, information shared out of knowledge. 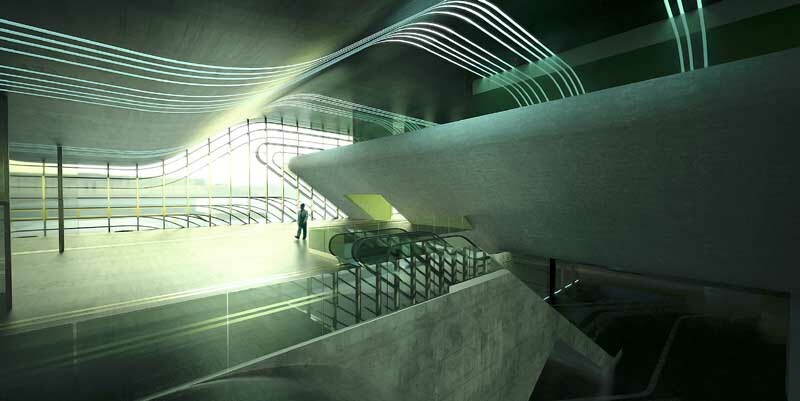 The kinetic energy of the paths, wherever they are in the complex, brings out a diversity of perspectives that enrich the viewpoints within the building and beyond. The contrast between the linear nature of the surrounding residential buildings can only reinforce this impression of entering a different world, a world of its own, although designed like one of the gates of the town. The openness of the town towards the sea is immediately put into perspective by an immense curving ribbon linking the two cultural extremes of the centre like a bridge. This arching ribbon, clothed in 640 photovoltaic solar panels, demonstrates the commitment of the town to exemplary environmental action. Like a shade, it tops the foyer, a transparent space that crosses the building, lengthening the public space inside the centre. The foyer welcomes visitors to La Grande Passerelle. It provides access to the media library and the art-house cinema. The reception area, in several concentric rings like a seashell, houses the town’s tourist-cultural gateway and continues on the interior of the media library. The cinema mezzanine above it provides a bridge to the town: it opens as a viewpoint over the station esplanade, framing the view thus created. Architecture-Studio has designed a huge area for the media library – fluid and flexible, with ample, controlled natural lighting. A curved area, covered in anthracite zinc, protects the collections and the offices of the administrative staff. This “looping band”, through its self-contained nature, its curved geometry and the material of which it is made, creates a tension in the space. The warmth of wood dominates: structural pillars made of glued, laminated wood and a ceiling of solid wood planks design curves in the space. The glass façade to the south is protected from the sun by external protective blinds. The north façade of the media library is a curtain of undulating concrete; thick, painted pearly white. It is pierced by glass panels in an irregular pattern in a random rhythm that suggests sparkling. 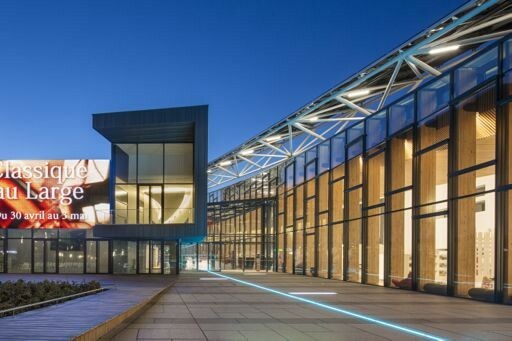 This theme is taken up again in the use of glass in the media library foyer, and in the night-time lighting of the esplanade, where the ground is scattered with luminous scales. The “looping band” ends at the western façade, with suitable signage marking the presence of the cultural hub in the town. The rhythm of its façade onto the street is created by large glazed gaps. 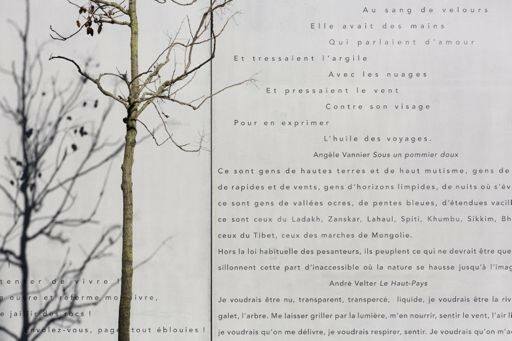 The concrete walls are screen-printed with poems and quotations from authors. Inside, the flow of people is organised in such a way that different uses do not conflict with each other. After buying tickets in the foyer, spectators go up to the cinema on the mezzanine level where the waiting area is. In this way, the foyer is always available as information area and meeting point. The organisation of circulation means that on exiting the cinemas, it is possible either to go back to the foyer or to go directly outside. 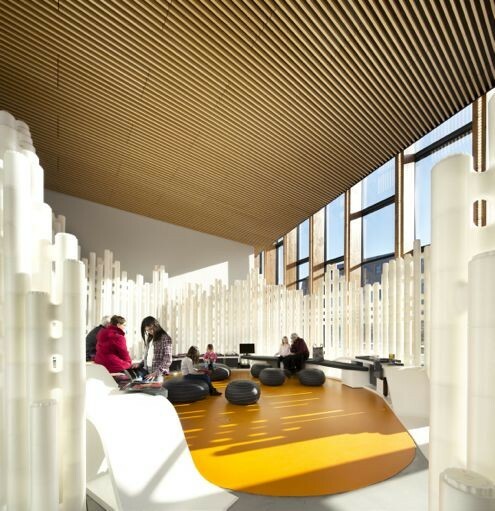 The “4e lieu” and the digital centre, along with the foyer, provide convivial spaces related to the outside areas. The “4e lieu” hosts different events: literature café, exhibitions, etc. These activities continue outside onto the wooden deck area. The digital centre opens onto the western square. In addition, the cultural hub has exterior screens that extend the media library’s cultural programme into the town.